New start-up magazine raising funds to take pot to print. The magazine has been going viral on social media in the last couple of days. The start-up project has managed to raise about R2000 of R80 000 in crowd funding, from 5 sponsors, in only two days . The campaign offers rewards for every donation. Some of the perks on offer are various sized advertisements, in the publication, while others offer a copy of the magazine or a 12-month subscription. The magazine does not stop there. 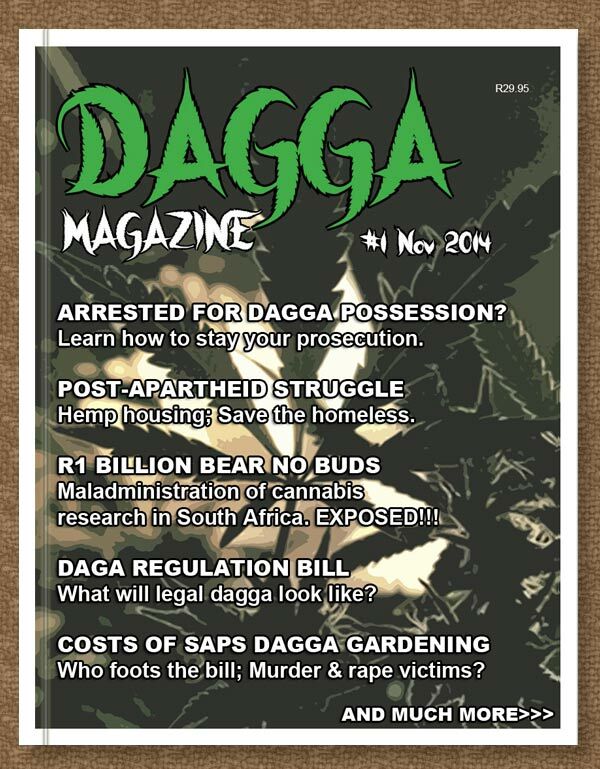 Dagga Magazine plans on funding dagga legalisation. “Dagga Magazine pledge to donate R1 or more per copy sold, monthly, towards a trust to provide financial aid in legal support for all those who are being prosecuted under unjust dagga law. ” their Facebook post read. This one’s for the history books. 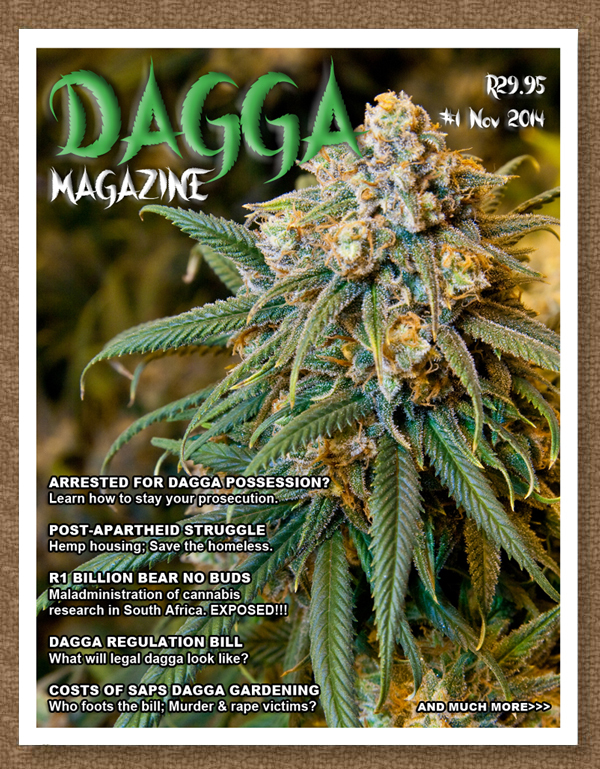 The first dagga culture magazine in South Africa. Can you believe it? This entry was posted in Culture and tagged Dagga Magazine on 17 October 2014 by admin. Dagga Magazine start-up has raised $196 of $8000 (R1710 of R80 000) in 3 days, from only 5 funders. Become a daggafarian job-creator or get paid R1000 for a featured article. Please Support South African Cannabis Culture – Act Now! 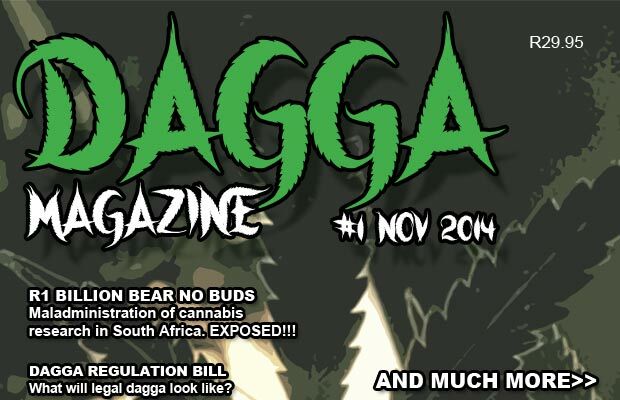 For R40 or more – Receive a copy of the first issue of Dagga Magazine. For R2800 or more – 1 Full Page Ad in first issue. For R1144800 or more become a General Sponsor. For R11000000 or more become a Gold Sponsor. For R137376000 or more become a Platinum Sponsor. Not all submissions will be used. Only articles printed in the Dagga Magazine are paid out. Only articles in English and of quality content, and high quality photos will be considered. This entry was posted in Culture, News and tagged Dagga Magazine, INDIEGOGO on 16 October 2014 by admin. I present to you South Africa’s first Dagga Culture magazine. This publication aims to serve a niche market with the optimistic potential of reaching over 4 million subscribers. Your support is critical in making this project reality. Claim your culture. Claim your Dagga Magazine. Donate & share with like minded individuals. 7 Funders have contributed and will be receiving rewards. This entry was posted in Culture and tagged Dagga Magazine on 10 October 2014 by admin.